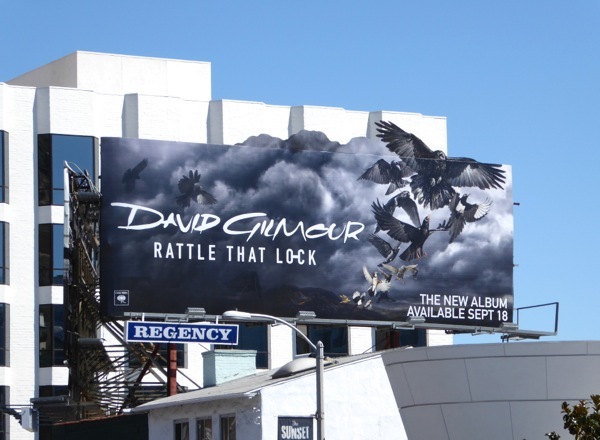 This Fall David Gilmour is keeping the Sunset Strip rocking with this eye-catching special extension billboard for his new album, Rattle That Lock. 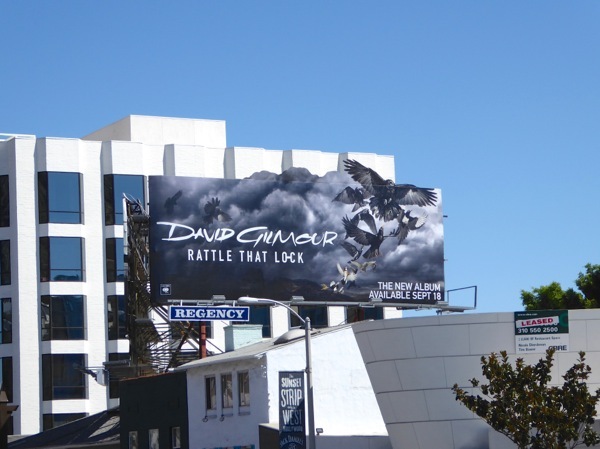 The stormy flock of birds creative provides a welcome break from the deluge of new season TV billboards that have filled the city skies in recent weeks. 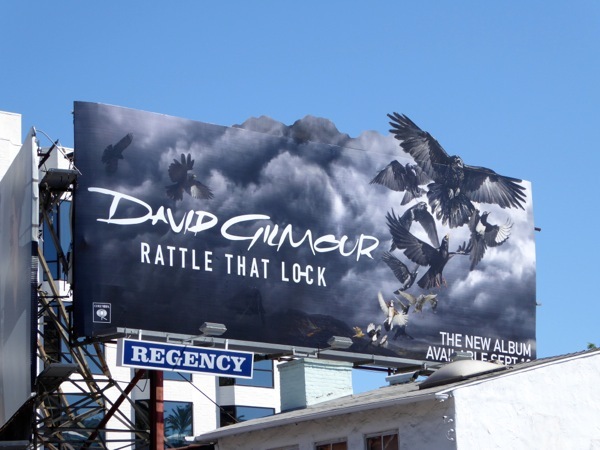 Rattle That Lock is the fourth solo album from the British musician and former Pink Floyd guitarist. 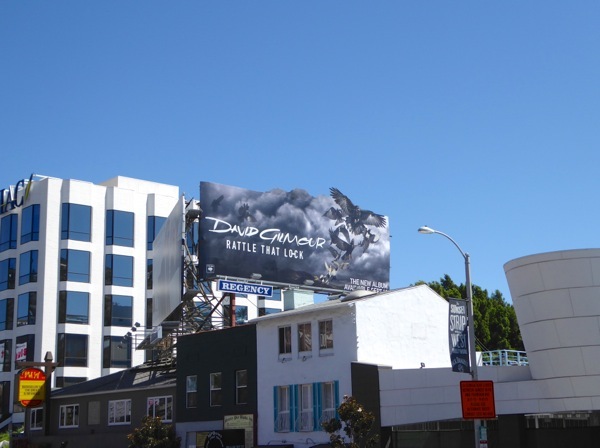 This dramatic flight of fancy was snapped along the infamous Sunset Strip in West Hollywood near The Viper Room on September 13, 2015. 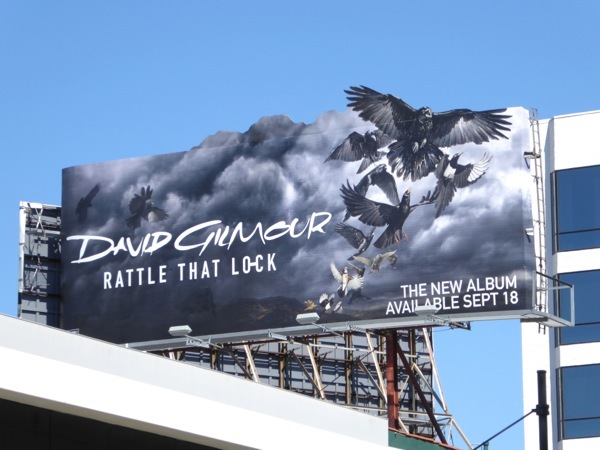 For more cool recording artist and music-related outdoor ads, be sure to browse the music genre here at Daily Billboard.